Caring for country and culture are our highest priorities and we aim to be leaders in Indigenous land management. We have identified a series of important projects that will drive our work and keep us focused over the next decade. These projects have been outlined in our Healthy Country Plan. The plan highlights our assets, our priorities, charts how to deal with threats and seize opportunities. We’re committed to monitoring and measuring our progress so in 10 years’ time we can see how we’ve achieved the goals our elders outlined nearly 20 years ago. We also are committed to listening to community feedback and making changes when needed. Burning country the right way is our most powerful tool for land management. 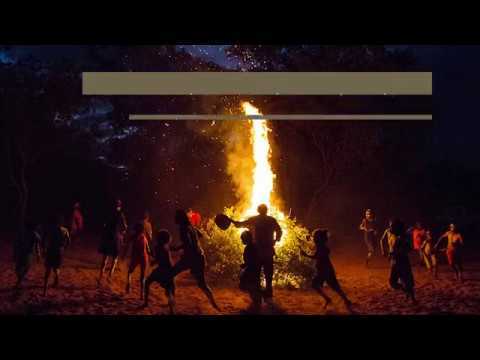 Our ancestors always used fire to keep country healthy, but when our people moved off country onto stations and into missions, settlements and towns, fire began to go wrong. Balanda (non-Indigenous people) told us our traditional way of burning was wrong and we shouldn’t be lighting fires at all. Without people managing fire the right way, there was less early dry season cool burning and much more late dry season uncontrollable wildfires, destroying food and homes for our animals and damaging plants that don’t like too much fire. In the late 1990s we got together with our neighbours and created a new way to go back to the old ways of burning. 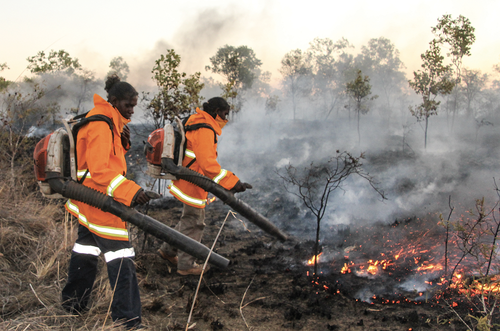 Under the cutting-edge project we called the West Arnhem Land Fire Abatement Scheme, governments eventually recognised the importance of controlled burning in reducing greenhouse gas emissions because they stop big, damaging wildfires sweeping across the landscape. Income from this work is our biggest source of funding for ranger jobs and work that keeps country and people healthy. Importantly, this is not Government funding and we are proud of being involved in such a globally important enterprise right from the start. Mimal once had the worst record of late hot fires but we’ve turned that around and country is becoming healthier from doing fire the right way. We talk to landowners and do early burning that uses up old fuel and sets up firebreaks on country. We use modern tools like satellite maps, trucks and helicopters but we are still following the old methods. Fire is our strength and we are always improving our knowledge and skills in planning early burning. Many weeds have invaded our country over the past 150 years, but we still have some areas that are relatively weed free. Some species are found only in certain areas and some species have more impact than others. We approach weed control through deciding how to apply our resources for the best outcomes. We have to make smart and tough decisions about which areas and which weeds we will target because weed control is a big job. Weeds that threaten our country include the grassy weed gamba grass, mission grass, grader grass and larger weeds such as prickly acacia and chinee apple. 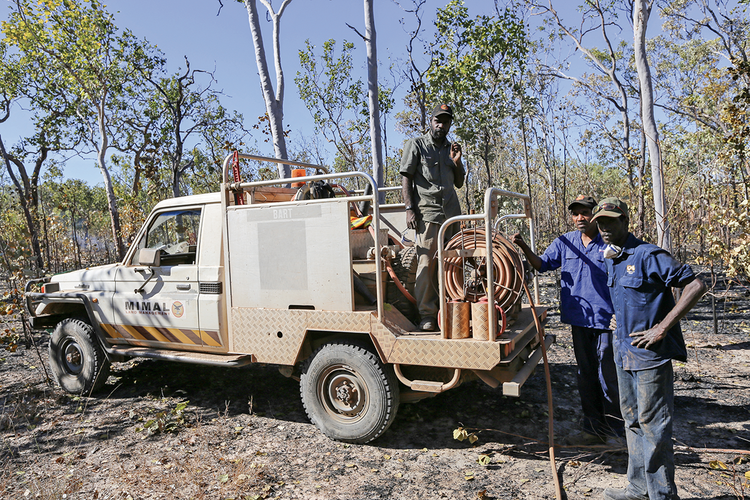 In 2016, Mimal produced the first weed management strategy for our area, drawing on Northern Territory Government weeds branch data and our local knowledge. We keep building the capacity of our rangers to identify weeds, to record their locations and have this information available to rangers as they plan on-ground weed control. Weeds can arrive anytime on vehicles, in hay and even on swags. We are also working to establish a weed washdown place where community people can clean their vehicles and where we can encourage travellers to have their vehicles cleaned. We have been working to eradicate some weeds from around the Gulin Gulin and Weemol Springs. 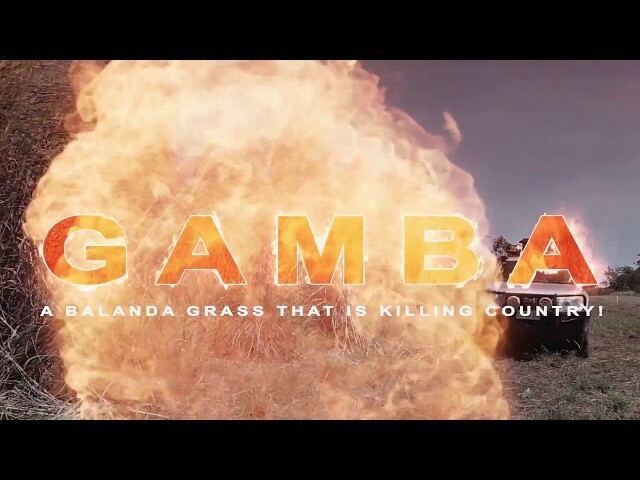 Gamba grass: The biggest weed threat to our country is gamba grass. Our rangers have found and destroyed gamba grass four times in the past and we believe we are free of gamba in 2017. However, if it does sneak in, it will cause a lot of damage and change our country forever. It cannot be eradicated once it takes hold and it kills country with fires much hotter than our native plants can handle. Grader and mission grasses: Grader and mission grasses are some weeds already established on our country. They have pushed out many native grasses that are important to birds and animals. Grader grass has spread out along roads and tracks and in some places now covers big areas along rivers and plains. Larger weeds: Other larger weeds have also invaded our country, including prickly acacia, chinee apple and gmelia trees. Some degrade soil and help erosion. Others threaten biodiversity. Land managers all over Australia are struggling to find ways to reduce populations of feral animals - from pigs and cats to big herd animals like buffalo, cattle, horses and donkeys. Better management of ferals will reduce the threats of erosion, damage to fresh water areas and the spread of weeds. There are no simple and effective solutions, but our rangers are developing the knowledge and skills to use tools that are available to map where most damage is occurring and target places of most concern. Because the problem is so big, we focus on the worst affected areas. Freshwater places where we have springs, creeks and wetlands areas are most affected by the pests and removing ferals is an important part of our project to improve our freshwater. We are growing our skills in building and managing animal traps and using safe baiting techniques. Until we know more about how to control feral animals more efficiently, we are also investing in training our rangers to be skilled and qualified marksmen. Many national parks and conservation friends try to get rid of all big, grass-eating herd animals. However, more than 20 years catching ferals like buffalo has created seasonal jobs and royalty money for some clans. That’s good for our local economy. We’re working to find ways we can work with landowners and commercial companies so we can continue to get economic benefits while improving management and reducing damage. Mimal wants to help landowners get the right balance between caring for country, making money and creating more jobs on country. We share the concerns of all landowners for the early detection of diseases that may threaten animal and human populations. Mimal Rangers, like many remote ranger groups, are in a strategic position to provide cost-effective monitoring for such diseases. Partnerships, special training and fee-for-service contracts with Biosecurity Australia benefits local people and the nation. Older Mimal Rangers have quite a lot of experience in biosecurity work and they‘re helping to pass on that knowledge. 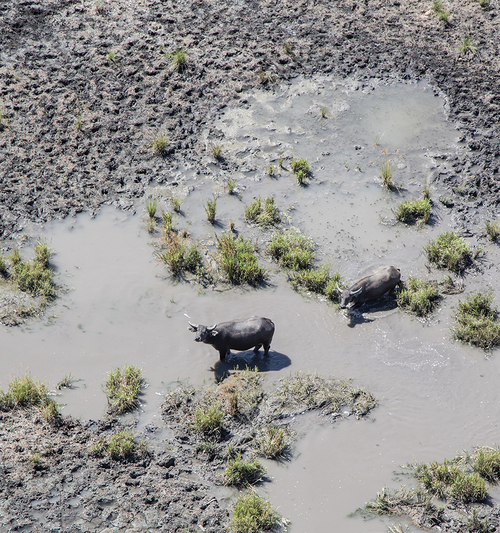 Buffalo: Buffalo make a big mess in and around water, fishing and hunting places. Many people have told us buffalo also stop them from using special places for hunting because they are frightened of cheeky buffalo. One of our rangers doing early burning had a lucky escape when chased by a buffalo in 2016. Horses and Donkeys: Horses and donkeys have been on our lands for a long time. We have grown up seeing them as part of the country. But when there are too many they can damage some country very badly. While less damaging than buffalo, horses and donkeys do harm the landscape and help to spread invasive weeds. Feral Pigs: Pigs are badly damaging freshwater areas. They wallow and root around the edges of creeks, swamps, billabongs and springs, fouling the water and destroying the vegetation that prevents erosion and provides food and nesting sites for native wildlife. Pigs spoil our special places, our sources of fresh water and make us feel unsafe when we want to take families camping and fishing on country. Feral Cats: Wild cats are a very big threat to our native birds and small animals. They love to hunt on plains country and will travel long distances to follow fire as they hunt. In many places small animals like bush mice and rats have disappeared altogether. Cats kill our blue tongues and other lizards. We can use camera traps to monitor numbers and use satellite-tracking collars to monitor their movements, but little is known about how to make a big reduction in their population. Some groups have trialled fences to create cat-free areas and scientists are investigating if dingoes scare cats away. When our country is healthy, it is brimming with wildlife. Many species of plants and animals found in Arnhem Land can be found nowhere else on earth. 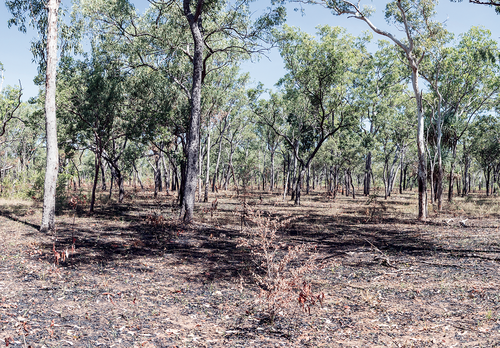 The introduction of feral animals, weeds and balanda mining or grazing, alongside the impact of decades of no fire management has affected many plant and animal species, including birds, reptiles, mammals and fish. We no longer see emus and bustards the way we used to. The colourful Gouldian Finch and other special birds are rarely spotted. Cane toads have demolished reptile populations. There has also been a broadscale decline of certain types of plants, including fire-prone species like the ancient Anbinik rainforests which have struggled to survive under poor fire regimes. In our work to deal with the threats to our country, we are working to save species. We have returned good fire burning and are beginning to see some bird, animals and plants returning to country. A part of our work saving species is conducting surveys and monitoring and evaluating species that threatened and at risk of extinction. Connection to country is an important part of our culture. 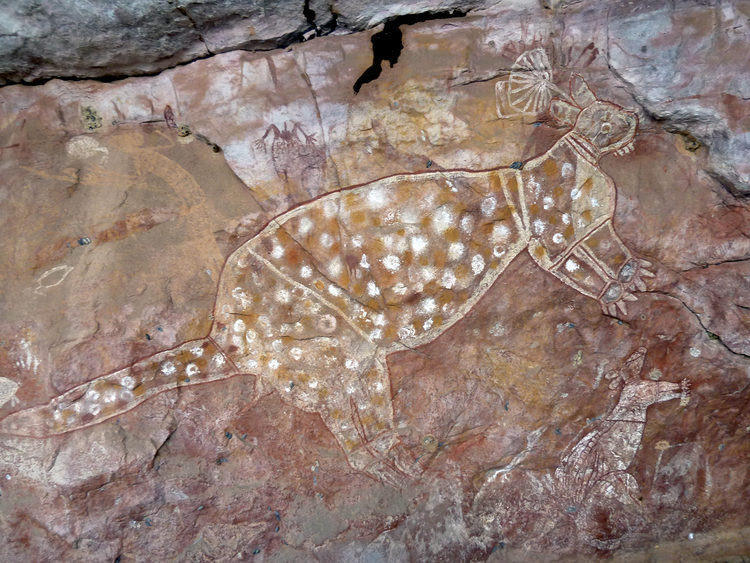 We keep culture strong through protecting rock art and significant cultural sites, through working with our elders and learning and recording knowledge and stories to ensure they’re passed down through the generations. In 2016, Rembarrnga and Dalabon elders brought back the Dow, a public ceremony that teaches young people about caring for country and managing fire. The tradition of Dow was nearly gone, but with help from Mimal we brought it back and shared the knowledge at Mobarn in June. Mimal also supports language and culture work. 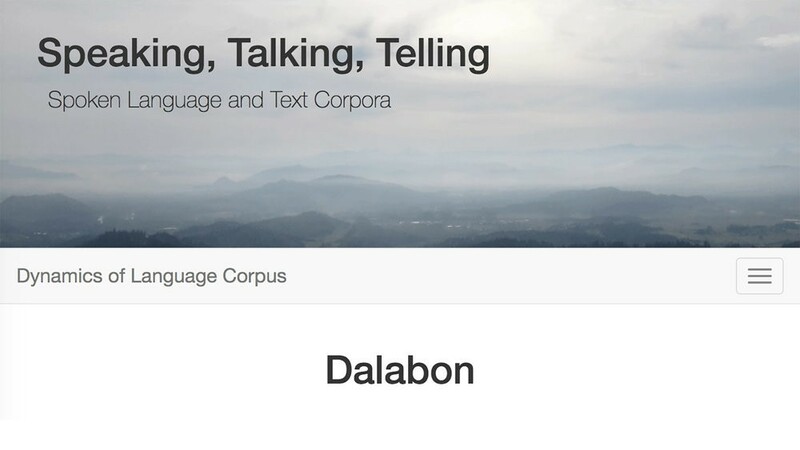 In 2017 Mimal paid for the Dalabon dictionary to be reprinted. We will soon have copies for our people who want to know more Dalabon. We also work with linguists and universities to ensure that languages spoken in our region - Dalabon, Rembarrnga and Mayili - and associated stories are recorded. There are many things that are pushing down the health of our people and our culture. Our people are spending less time on country and more time in towns, more time with TV and Facebook and less time speaking language and acquiring indigenous knowledge. If we create more jobs, help people visit or live on country, support ceremonies and old people teaching language and get a good partnership with school we can turn the trend from going down to going up. The next 10 years are critically important in the struggle to reverse the loss of our cultural heritage. Mimal is committed to a range of actions to rebuild connections to country and to culture. Mimal has two major types of visitor management issues which each require different approaches – tourists who want to learn about our country and culture and people who deliberately trespass without permission. Tourists increasingly pass through our lands, mostly on the Central Arnhem Road. We want to share information about our culture and our country and perhaps assist landowners to develop tourist ventures. We are concerned for traveller safety on the 800km between Katherine and Nhulunbuy for which there are no designated camping areas. We are keen to engage with them about the issues of accidental weed spread. Our other visitor management issue is around people who are deliberately trespassing on our country without permission. These include fishermen, pig shooters, unlicenced safari hunters and people involved in the illegal wildlife trade. With this second class of visitor we urgently need powers to control and stop illegal access. It is an issue connected to all our work on country and culture and issues like the protection of sacred sites and people feeling safe on country.